When co-blogger Chris Hendrix started off a series a couple of years ago on the origins of immigration restrictions, he fittingly began with the Chinese Exclusion Act (1882), looking at the arguments made for the act at the time. He examined them both the evidence available at the time and the evidence that has emerged since then. In a subsequent post in the series, I briefly examined the early years of the implementation of the Chinese Exclusion Act (1882-1910). While both these posts examined some aspects of the Chinese Exclusion Act in some detail, there is a lot about the history and aftermath of the Act that went unexplored. Recently, I had the opportunity to create a number of Wikipedia pages on topics related to the Chinese Exclusion Act: Chae Chan Ping v. United States, Angell Treaty of 1880, Chy Lung v. Freeman, Fong Yue Ting v. United States, and others. As I worked on these pages, I familiarized myself more with the situation surrounding the Chinese Exclusion Act. I became more convinced that a more in-depth look at the Chinese Exclusion Act would help shed light on the modern border control regime. I therefore intend to do at least three more posts on the subject. The current post will focus on the key developments and tug-of-wars that occurred until about 1872 (with passing mentions of trends that would continue into the late 1870s). A later post will discuss the more eventful years starting 1873. The year 1873 was marked by the Panic of 1873, the beginning of an economic downturn in the United States. The economic downturn was likely a contributing factor to increased anti-Chinese sentiment over the coming years, and key legislative and judicial developments related to immigration happened beginning 1875. This post looks at the “keyhole solutions” used by state and local law enforcement in California before the federal government got on board with significantly restricting immigration. Perhaps the biggest limiting factor to the quality of my analysis is the fact that such little data is maintained about that time period; in particular, about how ordinary people (both Chinese and the others in California) perceived the situation at the time. There is no Twitter, Tumblr, or Instagram to gauge public sentiment. There was no equivalent of Gallup polls. There were few newspapers and even those that existed don’t have all their archives available to peruse. Therefore, apart from actual legislative or judicial records, the main guidance present is various summaries provided by historians, who are in turn relying on observations penned by a few people, who may in turn have their own biases. The lack of good resolution on who was thinking what leads to broad-brush generalizations in many parts of the text. I talk about the “Chinese” and “whites” but both groups were probably quite heterogeneous in terms of their habits, attitudes, beliefs about the other group, legislation they supported, etc. A more able historian with more time to research the issue and more space to devote to describing it would be able to pick nuances better. As such, please take any general statements I make about ethnic groups below with a large grain of salt: they are a third-hand summary of very incomplete data examined through possibly biased lenses. Writing this post has led to some minor updates in my thinking. Here is a summary, that you can read without having to read the whole post. As I had previously noted in “Why was immigration freer in 19th century USA?”, there were no restrictions on immigration till the late 19th century (the Page Act of 1875 being the first federal regulation, and the Chinese Exclusion Act was passed in 1882). Even then, the first restrictions applied only to Chinese immigration. But I now see that the sentiment to oppose and restrict migration existed far in advance of actual restrictions, and the reason that it took so long to restrict immigration was mostly the federal structure of governance combined with the poor connectivity of California with the rest of the United States. This post also makes me more confident of observations I had made in my post on South-South migration and the natural state: despite the virulent and hostile response to Chinese immigration in California, migration remained freer and arguably closer to a state-of-nature than it does in the modern world. My feelings on “keyhole solutions”, and in particular, on the question of their feasibility and stability, have evolved a bit. I am now more convinced that they are not a stable equilibrium that placates those favoring restrictions. One reason is that some keyhole solutions, particularly those involving taxes and tariffs, can hurt migrants so much that their subsequent impoverishment makes them look even worse on social indicators to the rest of the population (a point related to what co-blogger Nathan alluded to in his post the dark side of DRITI). Another is that keyhole solutions need to be extremely punitive (at risk of impoverishing migrants and making them look worse) to make a significant dent in migration trends, to the level that would satisfy those who seek restrictions. Keyhole solutions at an intermediate level can generate revenue for government and can address rationally calibrated concerns about immigration, but they can’t really solve the public’s general aversion to migration. Keyhole solutions might work better in quasi-democratic settings. In quasi-democratic settings, not every individual policy choice is debated. Rather, as long as the quasi-democratically elected leaders’ overall performance meets natives’ expectations, they buy into the policy package despite not liking parts of it. A country like Singapore might be an example. Seeing the effects of migration isn’t guaranteed to drive one in favor of migration. In the case of events prior to the Chinese Exclusion Act, in fact, exposure to Chinese migrants led people to oppose it. California, which experienced the Chinese first, turned anti-migration first. Later, when the Chinese arrived in the Eastern cities, anti-Chinese sentiment also spread there. This does not mean that exposure to migrants always leads to anti-migration sentiment, nor does it mean that such anti-migration sentiment is factually grounded. Rather, we have to keep in mind existing narratives and biases that have been developed, in addition to the characteristics of migrants and natives, and results on sentiment towards migration could go in either direction. I don’t think nativist backlash is inevitable, but writing this post has led me to somewhat increase the importance I place on it as a force to reckon with. John’s post on tearing down Chesterton’s fence offers a good bird’s eye view of how immigration restrictions originated worldwide. While researching the subject, I noticed that in at least two other English-descended countries (Canada and Australia) the first significant immigration regulations appear to have been explicitly targeted at the Chinese, as I noted in an Open Borders Action Group post. On May 29, 2013, co-blogger Chris Hendrix started off a very promising post series to explore the origins of immigration restrictions, the rationales used when introducing them, and how they were gradually modified into their present form. His first post in the series took an in-depth look at the Chinese Exclusion Act of 1882, the first large-scale restriction of immigration to the United States after nearly a century with nearly unrestricted migration. Chris went into considerable detail into the rationales proffered for the law, and found them flawed in light of both the evidence available at the time and the evidence that would accumulate over the coming decades. With Chris’s permission, I’m taking this very important series over from him. This post will look at the Chinese Exclusion Act, but from a different angle: how was it implemented? As the United States’ first foray into a systematic control of a border, what legal ambiguities did it give rise to, and how were those resolved? What aspects of the modern immigration control regime, in the US and elsewhere around the world, can be traced to the way these ambiguities were resolved? Let’s first get an idea of the sort of world that existed at the time. Passports did exist, but most people didn’t bother to get them. Social Security, and Social Security Numbers, didn’t exist. There was no federal income tax. Since there was no tax withholding, employers had no federal reporting requirements, and they didn’t have reporting requirements in most states either. In other words, the state didn’t have a reason to record most work activity. There was no Green Card, or Green Card-equivalent. Non-citizen permanent residents had no document that directly established that status for them. There was no nation-wide interior enforcement for immigration law. Entry by land from Mexico and Canada was largely unrestricted. Ports of inspection for people and goods coming by sea, from the Atlantic or the Pacific. These ports were not intended primarily for immigration enforcement, but were mainly used for customs enforcement. At the time of the Chinese Exclusion Act, there were, as far as I am aware, no designated ports on the West Coast exclusively for immigration enforcement. Angel Island, the main such port, would become active only in 1910. The corresponding port in the East Coast, Ellis Island, would open only in 1892, though there were other immigrant processing stations before that on the East Coast, such as Castle Garden. City officials in various cities could act as de facto immigration enforcement. They could ask residents of the area for documentation proving that they were citizens (this would typically involve a birth certificate that would need to match with the city’s records, or a demonstration that the parents were US citizens, or a proof of naturalization). Enforcement would therefore be zealous only in places where the natives and the officials representing them cared enough about the matter. In practice, therefore, immigration enforcement followed the principle of subsidiarity — even though the legislation was determined at the federal level, interior enforcement was largely a local matter. All the elements found in the modern border control regime could be glimpsed in the Chinese Exclusion Act as it played out. First off, the act was overtly discriminatory in a racial and ethnic sense. It could be argued that many immigration laws today are racist, albeit in many cases they are not overtly so. But the racial/ethnic component to the Chinese Exclusion Act was both more morally acceptable and palatable and more practically enforceable. If you are trying to enforce immigration law, that requires a lot of potential violations of civil liberties, not only for the immigrants, but also for people who might be suspected of being immigrants. The Chinese Exclusion Act explicitly restricted itself only to targeting (a subset of) the ethnic Chinese. This subpopulation was sufficiently distinctive in appearance, customs, and linguistic habits. Thus, the collateral damage inflicted by the law on those not in violation of immigration law was limited to other ethnic Chinese. In today’s world, it is possible (though still far from easy) to carry out some semblance of border and interior enforcement targeted at potential immigrants that has minimal collateral damage for citizens, without being so explicitly racially targeted. For this, we can thank (or blame) the record-keeping surveillance state that can track people much better. At the same time, it is somewhat harder to use explicit racial/ethnic targeting, because of greater levels of ethnic mixing. People of different national origins no longer look so obviously different, thanks to some degree of global convergence in culture, and also (to a less extent) greater interbreeding leading to many many more intermediate forms of physical appearance. American experience with Chinese exclusion spurred later movements for immigration restriction against other “undesirable” groups such as Middle Easterners, Hindu and East Indians, and the Japanese. The Chinese themselves remained ineligible for citizenship until 1943. The second interesting emergent feature of the law, as it came into practice, was its citizenism, in more senses than one. First, as Chris described at greater length in his post, the law was justified in terms of citizenist premises, though there was the occasional nod to how it would be good for China as well to keep all its population within. Second, those Chinese who were already citizens continued to enjoy citizenship — at least in principle. They still were at greater risk of getting into trouble (because they were in the ethnic group suspected of harboring illegal immigrants) and they often couldn’t bring family members in, but they still enjoyed the constitutional rights of citizens. They could leave the country and return as they pleased (provided the officer at the port of entry was convinced they were actually citizens, and there were sometimes messups). Third, the implementation of the law provided the early contours of territorialism: Chinese who had immigrated but not naturalized prior to the passage of the Act were not allowed to naturalize, but they were not required to leave the country. As long as they were physically present in the country, they enjoyed the rights of non-citizens (subject to the caveat of being harassed due to the suspicion). However, if they left the country and tried to return, they could be denied entry. This was formalized in the Scott Act of 1888 discussed later in the post. This was an early precedent for the current regime that distinguishes between entry visas and authorized stays. Fourth, the high versus low skill distinction emerged in the law. The law banned the migration of skilled and unskilled laborers, but allowed for the migration of people in white-collar professions, if they could get documentation from the Chinese government to that effect, and could convince the officer at the port of entry. In practice, many people in white-collar professions also found it hard to enter due to lack of adequate documentation. This again resembles the current system, where high-skilled immigrants need to, and often fail to, jump through the many hoops needed to demonstrate their high skills. I recently read The Snakehead: An Epic Tale of the Chinatown Underworld and the American Dream by Patrick Radden Keefe. The term “snakehead” is used for a person who manages human smuggling operations for people from China (note that “human smuggling” should not be confused with human trafficking). The book is a fascinating, and in some ways disturbing, story of the huge network used to smuggle Chinese people illegally into the United States. I discovered the book when reading up an obituary of Cheng Chui Ping (better known as Sister Ping), one of the most reputed snakeheads. There is a lot of interesting material in the book, and although its relevance to the basic moral case for migration is fairly limited, it sheds light on many aspects of the realities of the ground. The book’s focus is the complex human smuggling operation of people from China and neighboring areas (but mostly from the northern part of Fujian province in China) to the United States, with most of them ending up in the Chinatown in New York City. But much of what it discusses is relevant to migration in other contexts. The book paints a poignant picture of the strength of people’s desire to migrate. There is also plenty of material in the book that sheds light on the international refugee system, and in my view it strengthens the case laid out in John’s recent post. The book does a good job of going beyond the simple (albeit mostly correct) narrative of migrants as ordinary, innocent people who simply want a better life for themselves. Rather, it notes how migrants, like the rest of us, care about their own (and their families’) long-term survival and flourishing deeply enough that they can sacrifice their own short-term interest, as well as a number of ethical scruples, in order to make that happen. Arguably, there is a strong selection effect, both for legal and illegal immigration: people who undertake such arduous journeys are the ones with the most to gain and the least to lose, which could tell us something about the sort of people they are. But the basic urges moving them are present in all of us. Many of the people we know would have taken similar decisions under similar circumstances. Unfortunately, the existing immigration system makes criminals of these migrants, in both senses of the word: it labels the act of unauthorized border-crossing as a crime, and some of the measures that people take to evade detection often involve them committing, or indirectly financing, activities that are criminal in a more objective sense. While the migrants and their facilitators who engage in the latter are in some (albeit not all) cases blameworthy, some part of the blame also falls on those of us who support the existing closed borders system that aims to shutter off such a basic human desire, in full cognizance of the unintended but easily anticipated consequences. (I’ve had a draft post on the ethics of illegal immigration for a while, but it’s not going to be finished any time soon. But you can read my co-blogger Nathan’s take on the subject or our background page on the morality of violating restrictive immigration laws). #1: Who migrates, how, and why? 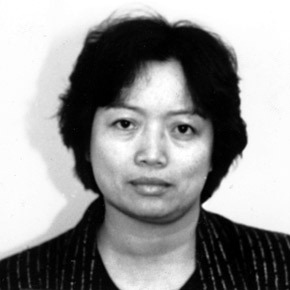 The book’s focus is on Cheng Chui Ping (better known as Sister Ping), who owned a modest storefront and restaurant in Chinatown in New York City, but whose main business involved servicing migrants in two ways: facilitating their smuggling into the United States, typically via an intermediate country such as Hong Kong or Thailand, and providing a low-cost service for them to send remittances back home. The operations managed by Sister Ping, and others with whom she collaborated, were extremely complex. Her money transfer system relied on peer-to-peer movement of money: the person sending money gives it to Sister Ping in New York, and her Chinese counterpart gives the money to her family. Occasionally, she may need to physically transfer some money between her New York City and Fujian operational centers. Banks do the same thing (at least in principle) but bureaucratic and regulatory overhead make them more costly, and moreover, many of Sister Ping’s clients didn’t have bank accounts. Sister Ping’s operation is similar to the Hawala system, an extremely cheap system of money transfer in South Asia, the Middle East, and North Africa. The people smuggling operation similarly required cooperation from people at different locations. First, people were smuggled from China to a holding country such as Thailand or Hong Kong. Thailand was good for holding because there was a sufficient density of corrupt officers who could be bought to look the other way as people waited en route to the United States. The trip from Thailand to the United States could be undertaken by plane or by ship. Usually, the ships sailed across the Pacific and landed in California. Sometimes, they went via the Indian Ocean, stopping in East Africa or South Africa before setting off across the Atlantic. Since landing directly on the US Coast was tricky, sometimes they would land in one of the Central American countries and then cross by land or by boat. This operation is pretty nontrivial and involves considerable risk. The money transfer and human smuggling business netted revenues in the billions of dollars annually during their peak, and the gains to the migrants and their families back home were considerably greater. The smuggling operation was complex and impressive. But more than simply marvel at the ingenuity of the operation, we should note how it often failed people: there were accidents en route that killed people, and often the smuggling operation wasn’t successful. Sometimes people would be caught on arrival. The sad fact is that the closed border system led to much ingenuity, risk, and effort being directed to undoing the damage of closed borders, rather than to moving the world further forward (cf. the parable of the broken window). The fees for smuggling were high. Even back in the 1980s, smuggling fees could be as high as eighteen thousand dollars. A pretty huge sum. And although the snakeheads like Sister Ping made a profit, the profit margin wasn’t extraordinary: the price was high because the costs and risks were high. So why were migrants willing to pay the fee, and how could they afford it? The answer to the why is pretty clear: a huge place premium: The pay in Chinatown in New York City, even for somebody doing a menial job and with zero English language skills, was an order of magnitude more than what the person could make in rural Fujian. The male adult of the family could migrate, send remittances home, and work really hard so that his wife and children could enjoy a good standard of living (relative to the other natives) back home. (For more on the network of jobs accessible to these migrants, see this New Yorker piece). What about the question of how? In short, diaspora dynamics, which in this case literally involves early migrants paying for later migrants. For the most part, smugglers like Sister Ping held migrants who’d just arrived in captivity until their family members and friends within Chinatown had paid the smuggling fee. The migrant was then released and not tracked. He now owed money, but not to Sister Ping, but to his relatives. And that created a stronger incentive system to repay. Either way, Sister Ping didn’t have to track the migrant or worry about what he ended up doing. But how did the relatives come there in the first place? This is the basic idea of diaspora dynamics: the first few people are unusual in some way: unusually wealthy, unusually enterprising. They either migrated legally or were able to personally finance their unauthorized journey into the United States. Both of these signal some unusualness relative to the reference population they were from. Then they smuggled their relatives in. And they smuggled their relatives in. And so on. This does suggest that, after a few iterations, the selection effects could be somewhat weaker than one might expect a priori. Sister Ping’s operation involved associates in dozens of countries, and corrupt officials in a string of strategic entrepôts. In the early ’90s, she funneled passengers through Bangkok, Thailand, where corrupt airline inspectors turned a blind eye to phony documents. By the late ’90s, she was sending ships full of migrants to the shores of Guatemala, from whence they could proceed overland through Mexico. She didn’t need to worry about the Guatemalan navy. She had them on the payroll. This was one of the most surprising (and daunting) themes to emerge in my research: If criminal organizations, like multinational corporations, are mobile and opportunistic and can migrate wherever they like, engaging in a kind of jurisdictional arbitrage and seeking out an optimal environment in which to do business, then all it takes is one spoiler country, like Thailand or Guatemala, to render them virtually untouchable. When Sister Ping fled the United States after the Golden Venture incident, she settled in her home village in Fujian Province, where she enjoyed the protection of the Chinese authorities and proceeded to continue running her business for six long years. The FBI knew exactly where she was. But when they asked China to extradite her, Beijing brushed them off. At least she was confined to China, you might say. But she wasn’t. She traveled all over the world during those years—even, amazingly, to the United States. How? When she was finally arrested in Hong Kong in 2000, she had a passport with her picture and someone else’s name. It was issued by Belize, a classic spoiler country. Is the existence of spoiler countries a feature or a bug? If you consider the current closed borders system a moral anomaly, then it’s a feature, but if you strongly respect the status quo, it’s a bug. Some might argue countries don’t have the prerogative to be lax about facilitating migration to other countries while strictly enforcing their own migration laws, for that may be hypocritical. I don’t buy that argument. Nonetheless, some of the spoiler countries have relatively lax de facto immigration laws too, in some (albeit not all) senses. Thailand is arguably one such example (more on Thailand in another post). There is some level of irony in Sister Ping’s relationship with the Chinese government. On the other hand, she lent a helping hand to a large number of people who were escaping political and economic problems created through government policies, including some who were directly persecuted by the government. On that account, we might expect that Chinese government officials would take a negative view of Sister Ping. On the other hand, Sister Ping had helped a lot of people in northern Fujian migrate and become rich, and they had in turn sent back money and enriched their villages back home. This made her a popular figure back home in her region. Even if the government officials’ own feelings for Sister Ping were ambiguous, the people’s love for her made it difficult for the officials to take action against her. It would be a needless risk to their popularity with no upside. But it is ironic that the woman who facilitated so many people from China claiming refuge in the United States spent the latter half of the 1990s seeking refuge in China from the United States regime. The irony dissipates somewhat by taking a bigger view. People want to be free and comfortable. Free to make choices in their own lives. Free to move elsewhere if those places offer better opportunities. Both the Chinese and the US government have a mixed record when it comes to curtailing those freedoms. The Chinese government’s record is more generally negative: after disastrous experiments with Maoism, the country has liberalized considerably but much progress remains to be made with respect to political and economic freedom. The United States government does a better job in protecting political and economic freedom for people within its territory, but getting in there can be tough (to be fair, the Chinese don’t have a great track record with immigrants either, particularly those from North Korea, who basically have nowhere else to go). Sister Ping and her clients appreciated the United States for its strengths. That’s why she migrated there and helped facilitate her clients’ moves. At the same time, they did not “respect the law” in the cases where it inhibited their basic freedoms. And to the extent that the very flawed Chinese government tolerated Sister Ping, she was happy to seek refuge there. #4: What motivates people like Sister Ping? Snakeheads (the people who head the human smuggling operations) differ considerably in their intentions and integrity. But the best among them, such as Sister Ping, seem like upstanding folks. Sister Ping was fairly wealthy. But more than most wealthy people, she had very little opportunity to bask in her wealth. She needed to maintain a very low profile in order to avoid getting noticed by the police, the immigration agencies, and local rival gangsters who might rob her. She generally kept her word to clients. Unlike other snakeheads, she stayed true to her 100% money-back guarantee: in case of a botched operation (even an ultimately successful one) she didn’t charge her clients. In Chinatown, many people seem to agree. Her death was front-page news in New York’s Chinese-language newspapers, with articles describing her “righteousness,” and calling her an “immigration hero.” “Her warmth moved everyone,” a local man who came from her village back in Fujian told the Times. Over in Silicon Valley, there is a stereotype of the bold entrepreneur who forges ahead bravely, taking risks and not caring for social convention. Perhaps one of the most flamboyant examples of the entrepreneur who’s willing to fight hard, John Galt-style, and doesn’t mind appearing arrogant, is Travis Kalanick, Uber CEO. While some of his business choices are arguably ethically challenged, others seem to be ahead of their time in challenging common but mistaken moral norms (such as the norms against surge pricing). Regardless of the specifics, Kalanick is an impressive entrepreneur: after a decade of working on businesses that failed despite being promising, he didn’t give up, and he got it right the third time, with Uber. This is a man who perservered and it paid off, for him, and the large number of people whose lives have been improved by Uber. But the risk-reward ratio faced by Kalanick pales compared to what Sister Ping faced. Kalanick may end up a billionaire if Uber continues to execute well. Sister Ping probably had just as much, or perhaps even more, business sense, but because she chose to operate in an underground business, the opportunities to her were limited in scope. She had to adopt even more unsavory tactics than Kalanick, including outright violence. And even though she acquired money, it was far less than what Kalanick could accumulate, and she had little opportunity to live it out lavishly due to other constraints. When it comes to the risks, there is no comparison. Sister Ping spent the last 14 years of her life in prison. Kalanick will at worst have to pony up money in a lawsuit and shut down Uber, and in the median case will probably do pretty well for himself. Whenever people asked Occhipinti about Sister Ping, he told a story that he thought demonstrated just how untouchable she had become. Early on, he had gone to see her at the apartment in Knickerbocker Village, on Monroe Street. He’d taken along another investigator and an interpreter. Occhipinti didn’t have much to bust her on, but he made it clear to Sister Ping, through the interpreter, that he was on to her and he would get her eventually. To Occhipinti’s surprise, Sister Ping wasn’t fazed in the slightest. “You don’t have the time to get me,” he remembers her saying. “Or the resources.” He made a note of the meeting, and it ended up in Sister Ping’s file. It became part of her lore within the agency. But what always struck Occhipinti about the exchange wasn’t just the arrogance of it, or the insult, so much as the fact that she was right. Keefe, Patrick Radden (2009-07-15). The Snakehead: An Epic Tale of the Chinatown Underworld and the American Dream (pp. 55-56). Knopf Doubleday Publishing Group. Kindle Edition. Keefe, Patrick Radden (2009-07-15). The Snakehead: An Epic Tale of the Chinatown Underworld and the American Dream (pp. 94-95). Knopf Doubleday Publishing Group. Kindle Edition. But rather than merely admiring the net benefit that Sister Ping may have given her clients, the more important lesson we should take is that our perverse migration restriction regime made it the case that a business that involved such violence and high risk to life and limb was still one with high social value and a decent personal profit opportunity. How much better would the world be if the need for this kind of innovation was eliminated through a more open regime for legal migration? Sister Ping’s innovative energies could then have been directed to creating additional value rather than merely undoing the damage of immigration restrictions (yes, I know I’m repeating myself here). The book is interesting in two other senses that each deserve their own post. #1: Writers on the subjects of ethnicity, race, culture, and immigration in the United States often describe Chinese immigrants as a model minority, with Mexican and other Hispanic immigrants being contrasted unfavorably with the Chinese. While the case for Chinese superiority cannot be completely ruled out, this book does a good job of deflating the strongest and most exaggerated forms of the myth. Highly selected people who migrate from China through legal channels, and their children, disproportionately inform elite commentators’ impressions of Chinese immigrants. Illegal immigration and human smuggling from China to the United States suffers many of the same qualitative problems that illegal immigration from Mexico and other Latin American countries does. If the United States had a land border with China and an ocean separating it from Mexico, it’s plausible that Mexicans would be touted as the model minority for Chinese to emulate (note also that the population size difference makes it easier to select highly successful Chinese immigrants). More in this OBAG discussion on Facebook. #2: There is plenty of discussion in the book about various attempts to game the ambiguous rules for refugee status among Sister Ping’s clients. How morally justified were these attempts to stretch the spirit of the rules? This is a topic that requires a post of its own, but the upshot is that almost inevitably, a close examination of each individual case would make one sympathetic to it, even if it did not fit the narrow framework of political persecution reqired to qualify for refugee status. Chapter 13 of the book talks about the People of the Golden Vision, a movement that arose to release a bunch of people who landed ashore in New York City after the ship smuggling them, called the Golden Venture, ran aground. The chapter describes how ordinary Americans, whose prior views on immigration ranged across the spectrum of mainstream views, came to identify with the story of the immigrants. Once people got to hear the people’s stories and interact with them up close, they were convinced that these people should be granted the opportunity to stay in the United States. This is a topic that deserves a separate blog post, since it offers a blueprint of sorts for successful activism in the migration domain, and also provides insight into how actual contact helps resolve people’s moral contradictions in the direction most consistent with a free migration regime. #3: The relation between human smuggling and organized crime at different levels is worth exploring. The book discusses the connection between snakeheads and local gang activity in Chinatown, with gangs playing important enforcement functions for snakeheads. This too is a topic worth further exploration in a separate post, in the broader context of understanding the role of crime in both the enforcement and the defiance of migration controls. How can migrants afford huge smuggling fees? Three answers by Vipul Naik, December 10, 2014. Human Smuggling and Border Crossings by Gabriella Sanchez by Bryan Caplan, October 22, 2015, on EconLog.